In my mind, it’s still the spring. I haven’t quite wrapped my head around pumpkins, orange and red leaves and short days. I am looking forward to all of our fundraisers we have booked though. A place very near and dear to my heart. They are celebrating their 10th anniversary. We will be there taking photos of pets that come to help celebrate. 50% of the proceeds will go back to Marion County Dog Shelter. 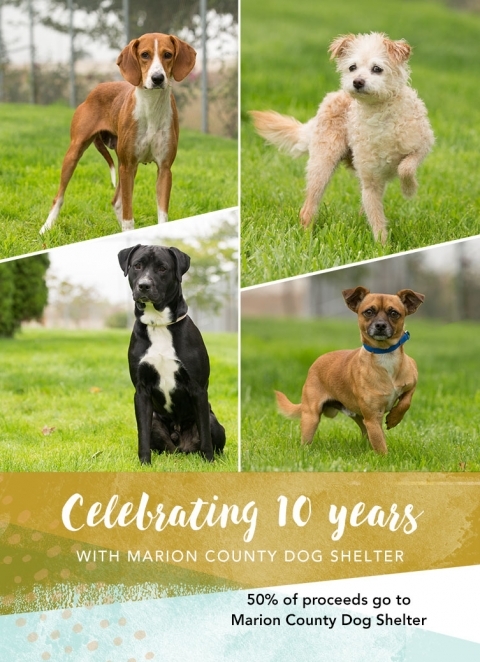 I’m really hoping to see some of the alumni that I have taken adoption photos for over the last five years. 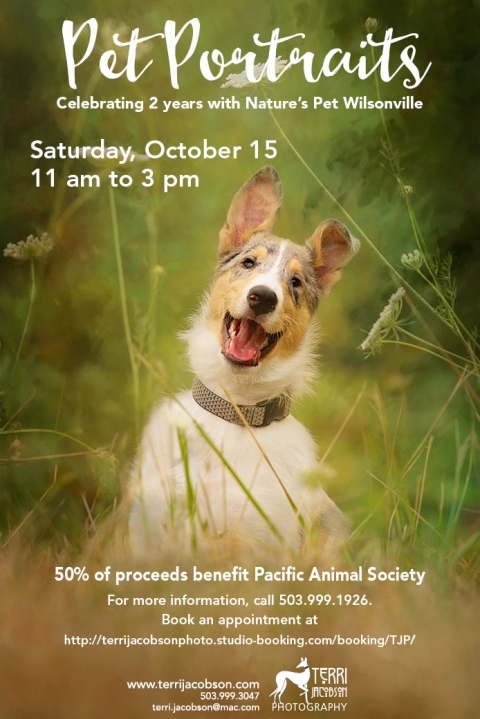 On October 15 we will be in Wilsonville at Nature’s Pet Market. We’ll be there to help them celebrate their second anniversary. Sheesh, I remember when the store opened, it almost feels like it was yesterday. Jenny always puts on a great party, so please join them. 50% of the proceeds go to Pacific Animal Society. We’ll be there from 11 am to 2 pm. 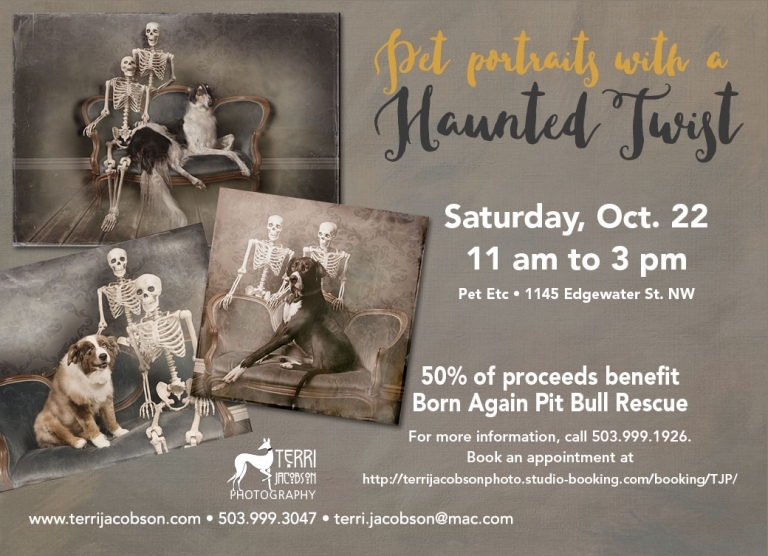 On October 22 we return to Pet Etc in West Salem to do a fundraiser for Born Again Pit Bull Rescue. Yes, our skeletons come out of the closet and we dust off the old settee. 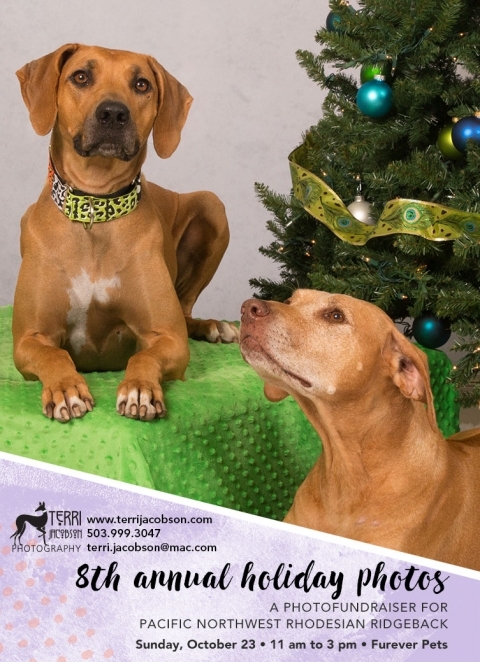 I was so surprised when I was reminded that this is my fifth year doing the annual holiday photo fundraiser for Pacific Northwest Rhodesian Ridgeback. Aubrey, the regional coordinator always puts together the best of the best in settings and it’s always a treat to work with Furever Pets. If you are looking for holiday portraits, here is your chance. Call Furever Pets at 503.282.4225 to schedule an appointment. And, just so you know, the Rhodesian Ridgeback is a huge supporter of their rescue and the appointments book out fast. 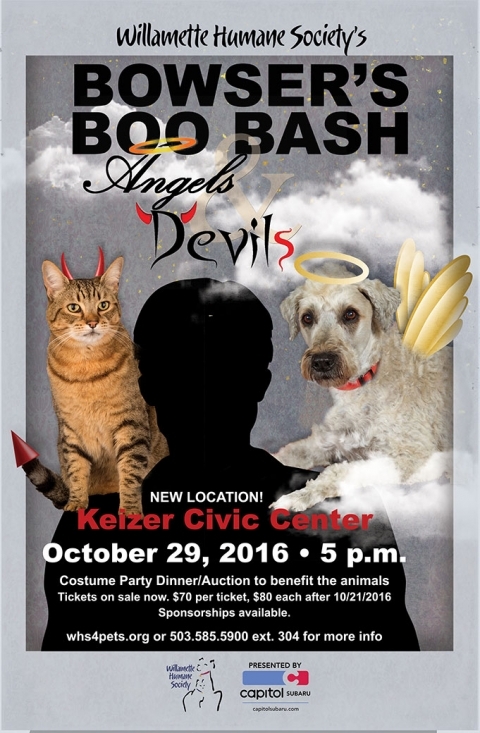 If you are looking for a great way to break out your own costume and dress up, join us at the Willamette Humane Society Boo Bash. This is always a fun time. Great auction, good food, a new location and yes, we’ll be there doing the photo booth. Phew, a busy and uber fun. Come see us. Each location will have a different set up. See you in October.